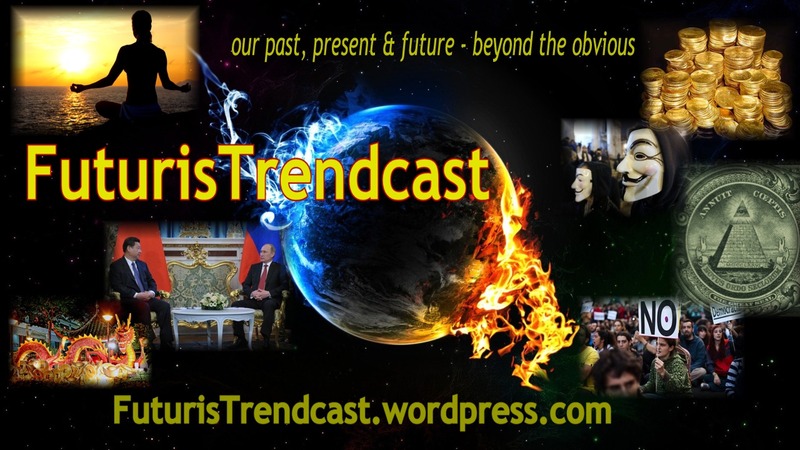 Introducing my new blog: Futurist Trendcast! As some of you know, for quite some time I’ve been making accurate predictions about various global events and trends on this blog and beyond. Many have asked me to expand on my predictions and analysis. However, the predictions part didn’t seem to fold well into the overall theme of the Lada Ray Blog. This is why today, I am thrilled to introduce my exciting new project, Futurist Trendcast! I designed this breakthrough – written and video – blog for all those who are interested in understanding our past, present and future – beyond the obvious. My written posts will be featured at Futuristrendcast.wordpress.com and my video posts will be posted at Lada Ray channel on Youtube. I’ve been making successful and accurate predictions about geopolitics, economy, investments and global changes since the early 2000s, and it’s time to share them with my fellow citizens of planet Earth. These are just some of my predictions: the real estate crash, gold/silver boom, George Bush re-election in 2004, both elections of Obama, re-election of Vladimir Putin in Russia in 2012 with the exact percentage of votes he’d received, Nicolas Sarkozy’s loss and Francois Hollande’s win in the French elections 2012. You can check my various predictions at LadaRay.wordpress.com. A word about me: I was born in Russia, and growing up, I observed the collapse of the Soviet Union. I also lived and traveled to over 26 countries on most continents, including a gig in Cuba, where I interviewed Fidel Castro. By the ripe age of 38, I managed to have 3 successful careers on 3 different continents, first as a linguist and translator, and second as financial consultant with AIG and Smith Barney/Citigroup. I witnessed first hand behind the scenes manipulations at these major financial institutions; I observed how small clients were sacrificed to the interests of large institutional clients, and how derivatives became the buzz word. At some point, I couldn’t stand it any more and quit, and although I felt sorry to leave my clients, I needed to do things that were in line with my spiritual growth and soul development. I went to Asia, where I studied feng shui, becoming one of the first Internationally Certified Western Feng Shui Masters with successful global practice. I was privileged to study various spiritual and metaphysical disciplines, including evolution of consciousness, kinesiology, Zen/Buddhism, face & aura reading, Chinese & Western astrology, and shamanism, with some of the world’s most prominent teachers & visionaries. I also found out that I was a highly developed empath and intellect shifter, and on top of that, that I possessed a gift of clairvoyance. Coupled with my creative, analytical and observant nature, as well as my background, all these gifts allowed me to make predictions, which usually came true. Presently, I am writing full time. My books include THE EARTH SHIFTER – a new release, this is a spectacular cosmic fantasy thriller, including a world conspiracy, Russian oligarchs, secret agencies, a NWO secret society, psychic spies, shifters, different realms of existence, and so much more! The ebook is now available on Amazon, B&N, Sony, Apple. Paperback launch – April 10! I also write a companion new series, EARTH KEEPERS CHRONICLES. In addition, I write mystery/thrillers, most notably GOLD TRAIN (Accidental Spy Russia Adventure). An Amazon/Kindle bestseller, it is a rip-roaring thrill ride across Russia, which is based on true historic events. It’s about the disappearance of the entire Gold Reserve of the Russian Empire during the 1918 civil war and the present day conspiracy to start a new civil war, while shifting the global balance of power. In addition to writing and public speaking, I also intend to expand on my predictions, sharing them with the public, and that’s why I’m starting this new blog and expanding my Youtube channel. If you check my 2012 predictions at LadaRay.wordpress.com, you’ll notice that they’ve all come true. My track record speaks for itself, and that’s because I’m a neutral observer and unbiased, detached analyst. This is what allows me to predict with such accuracy. Moreover, I want to emphasize that while we live in crucial times, the times when anything old, outmoded and rotten is being destroyed and the shoots of the new start coming up everywhere, when anything that’s not anchored or solidly built is swept away by the hurricane of change, I’m not given to fear mongering, unlike some others. My predictions and analysis are for those who want to know, and for those who want to see – the truth just as it is. They are to help my fellow earthlings to orient themselves better in the sea of change and to prepare accordingly. Strange and quickly changing times are upon us, but as always, every cloud has its silver lining, if you know where to look. In conclusion, all this information is being made available for free, so support Futuristrendcast.wordpress.com and Lada Ray Youtube channel by subscribing, liking and commenting! To support the operational costs and to understand my message deeper, buy and read my books! Find out more about my books, including buy links, on this blog or at my official author site: LadaRay.com. Thank you very much for your support, and remember to stay positive! P.S. This is my first video in the series. Please let me know if the sound level is good, or af anyone feels that the volume should be higher. Thank you for your input!